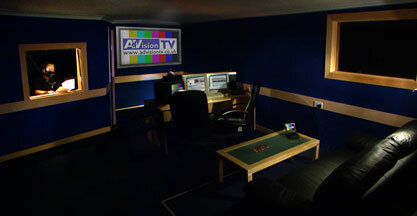 Our in-house edit suite accommodates all High-Definition and 4K/UHD editing formats. The Grass Valley Edius 9 based system is useful for multi layering and real time editing and is fast and reliable. The suite provides a large HD screen display and comfortable client area. Final audio mix and sound sweetening may be done digitally within the edit suite via our 5.1 set up with Genelec 8050 speakers. The Post Production suite is acoustically treated to broadcast requirements and also houses a sound proof voice-over recording booth.